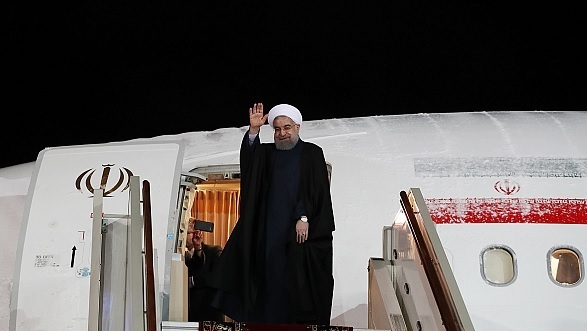 On March 27, President Hassan Rouhani arrived in Moscow with a large political and economic delegation for a two-day visit. 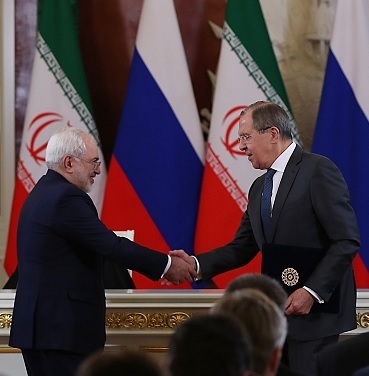 Iranian and Russian officials signed 14 memoranda of understanding to cooperate on a range of security, economic, scientific and cultural issues. Putin highlighted that bilateral trade had increased 70 percent compared to last year. Banking officials from both countries discussed creating a joint bank account to facilitate trade in rubles and rials, which could further boost trade. It was Rouhani’s first official visit to Moscow as president and his first foreign trip since the start of the new Persian year (March 20). Previously, President Vladimir Putin had met Rouhani eight times, mainly on the sidelines of international events. Putin met Rouhani in 2015 while in Tehran for the Gas Exporting Countries Forum. In a joint statement, Rouhani and Putin expressed support for the continued implementation of the Iran nuclear deal. They also seemed to criticize U.S. foreign policy by dismissing “unilateral sanctions” as “illegitimate,” likely a reference to U.S. sanctions on Iran for human rights abuses and support for terror and Russia for its aggressive actions towards Ukraine. They also expressed disapproval of cyberattacks, citing the Stuxnet attack on Iranian nuclear sites, though they did not implicate the United States and Israel in the statement, who are widely assumed to be responsible. Putin and Rouhani discussed their shared interests in the security and stability of Iraq, Syria, Yemen, Afghanistan, Central Asia, and the Caucasus. The Syrian conflict was also key topic on the agenda. Both countries have provided military support to President Bashar al Assad and are concerned with the concentration of jihadi groups in the war-torn country. Foreign Minister Mohammad Javad Zarif said that Russia could use Iranian military bases to launch airstrikes on militants in Syria on a “case by case basis.” Russia’s use of Iran’s Hamedan airbase in August 2016 marked the first time a major power had conducted military operations from Iranian soil since the 1979 revolution. At the end of the visit, Rouhani told the press that Iran-Russia relations had reached a new level. “Today we have many major long-term projects, including in energy, and also in oil and gas production, which are already either fulfilled or are at the final stage of talks and close to implementation,” he said. The following is a rundown of the visit. 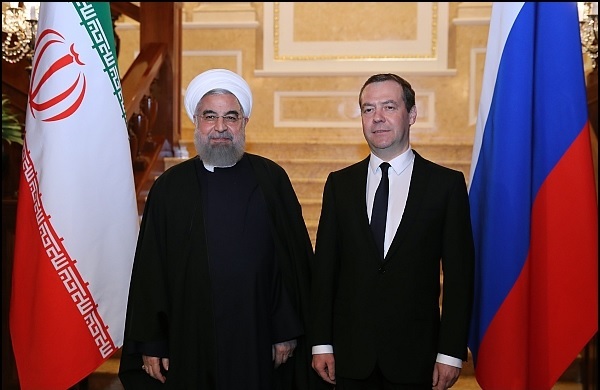 President Rouhani arrived in Moscow and met with Russian Prime Minister Dmitry Medvedev. Both leaders emphasized their governments’ desires to deepen bilateral cooperation. "Without a doubt, the two countries' cooperation in the process of stability and security of the region and the world will have positive effects,” said Rouhani. 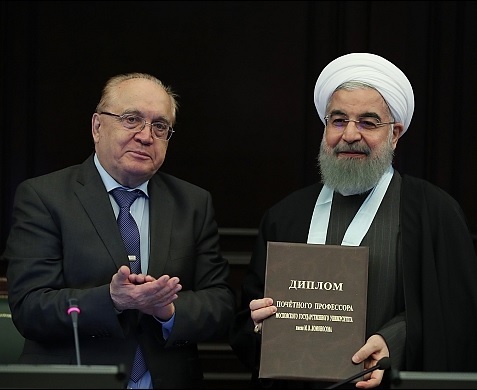 Rouhani received an honorary doctorate from Moscow State University for his efforts to expand academic ties between Iran and Russia. He said that cooperation among academics, scientists and governments is necessary to tackle challenges now facing the world. "The wane of the West's dominance and the end of wealth monopoly is a historic opportunity to build a new world,” he told professors and students. 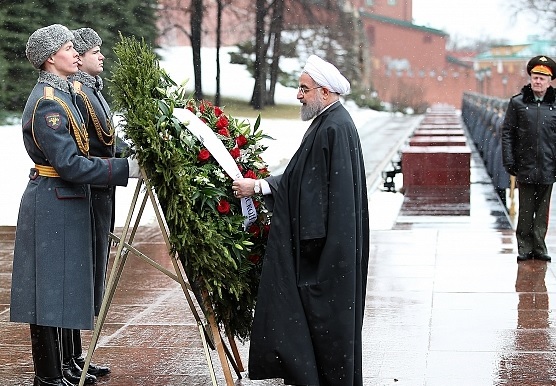 Rouhani then visited the Tomb of the Unknown Soldier memorial to pay his respects to soldiers killed during World War II. Putin and Rouhani also voiced concern "over the continued destructive war in Yemen" and spoke "for the quickest termination of clashes and the bloodshed," and also stressed "the need to settle this crisis politically as part of a nation-wide dialog." “Putin and Rouhani hailed agreements of OPEC and non-OPEC countries contributing to demand and offer balancing on the oil market in an acceptable price range and supporting investment attractiveness of the oil sector." "Russia and Iran will continue cooperating in this sphere for purposes of global energy market stabilization and provision of sustainable economic growth. The parties agree to continue meaningful interaction within the framework of the Gas Exporting Countries Forum aimed at forming a fair balance of interests of gas producers and consumers and at wider application of this efficient and ecofriendly kind of fossil fuel in the global energy balance, particularly for purposes of reducing greenhouse gas emissions." "The Russian party informed Iran about completion of domestic government procedures required for entry into force of the agreement between governments of two nations on extension of a state export credit for Iran to finance construction of a thermal power plant and the agreement on provision of a state export credit for Iran to finance electrification of Garmsar-InceBurun railway segment, signed in Tehran on December 13, 2016." Putin and Rouhani stressed "importance of more active interbank cooperation, including between central banks, and importance of using national currencies in mutual settlements." "The presidents handed down instructions to consider further joint steps to remove administrative barriers hampering trips of certain categories of citizens." Rouhani also met with Iranian nationals residing in Russia. He highlighted his government’s economic achievements in the previous year. “Single-digit inflation rate, 11.6 percent economic growth, and creating employment are signs of the correct path,” he said. Rouhani also said Russia and Iran are determined to increase their annual trade to $10 billion. Before leaving Moscow, Rouhani summed up his trip to the press. The following are excerpted remarks. 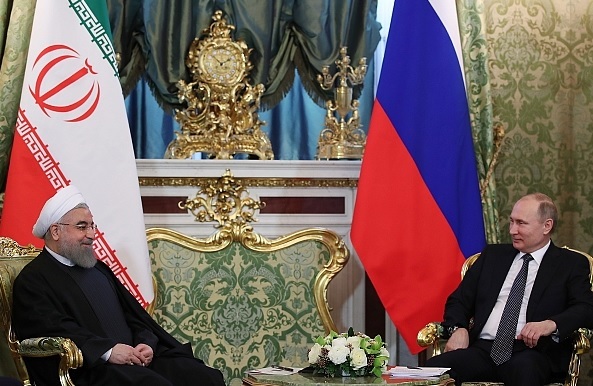 Click here for background on Iran-Russia relations.